All our heads are mounted and tested in a clean room with a constant temperature in order to guarantee maximum reliability. Moreover, once mounted, all heads are run in on a test bench for 60 hours, during which time the head and spindle are rotated throughout their entire range. Universal Head at 45º. Compact, robust. Orthogonal head at 90º. Flexible, easy to program. Can reach negative angles of up to 45º. Head with two continuous axes, ideal for machining with 4 or 5 continuous axes, as well as for super finishing operations in 3+2 axes. We offer 3 electro-spindles with different torque-power specifications designed for different applications. Machining of monolithic aluminium parts for the aeronautic industry. Machining of dies and moulds for semi-finishing and finishing. Machining of dies and moulds for high-speed roughing, semi-finishing and finishing. 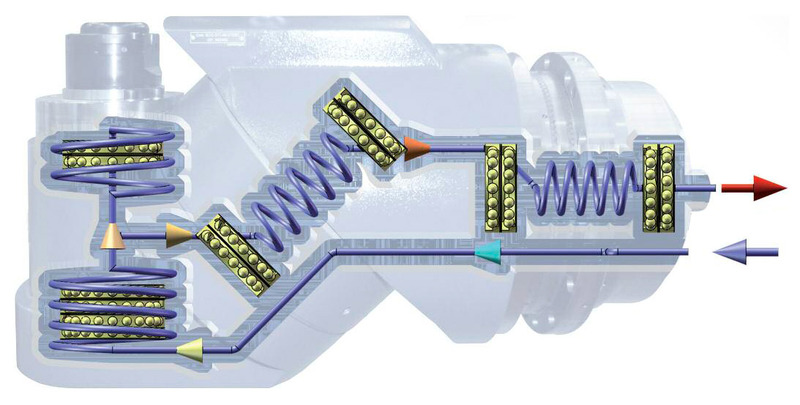 3 electro-spindles can be installed in the E5E Head. Distance between the nose and the B axis variable according to main bearings temperature. B axis encoder located in the final rotating axis. B axis transmission completely symmetric. 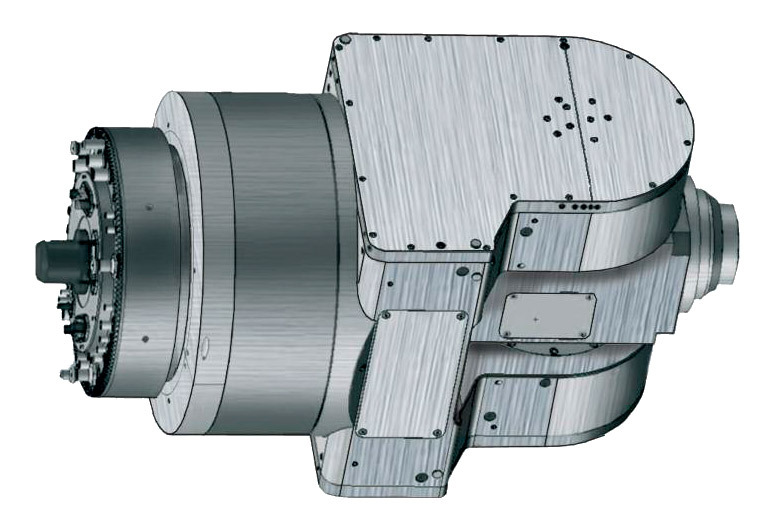 Heat generated due to B axis transmission is equally distributed around the milling head. Nicolás Correa has developed one of the widest ranges of heads on the market. All the heads in our range can be interchanged automatically, thanks to our Automatic Head Change system.